For the former head of the religious police in Mecca, the recurrence has no connection with faith. And exchanging good wishes "is not against sharia", but "a kind gesture". Red roses are exhibited in flower shops in various cities across the country. First criticisms also for the obligation of abaya for women. Riyadh (AsiaNews) - A prominent Saudi personality has opened to the celebrations for Valentine's Day, the anniversary celebrating love worldwide which falls tomorrow, February 14th. Long forbidden in the Wahhabi conservative kingdom - as in other Muslim majority countries including Kuwait, Pakistan and Indonesia - the celebration is no longer be "haram" and against sharia, Islamic law, but is seen as "a positive social event" untied by faith. The opening to Saint Valentine in the stronghold of Sunnite ultraconservative Islam comes from Ahmed Qassim al-Ghamdi, former head of the religious police in Mecca. "It's a positive social event - says the man in an interview with Al-Arabiya - and to exchange good wishes for this is not against sharia". "It is a kind gesture - he continues - to share greetings on the occasion of social celebrations or Western parties, including Valentine's Day. It is legitimate to give roses, as long as this is done with peaceful people, who have no resentment or malice towards Muslims ". Analysts and experts point out that statements of this kind - even more so if they came from a member of the religious or institutional establishment - would have been "unthinkable" until two years ago. Recently, Saudi Arabia has promoted a series of political and social reforms, including openings for women. However, there remain heavy human rights violations, repression of activism or criticism of institutional and religious leadership, as well as the prohibition of practicing other faiths that are not Islam (Sunni). 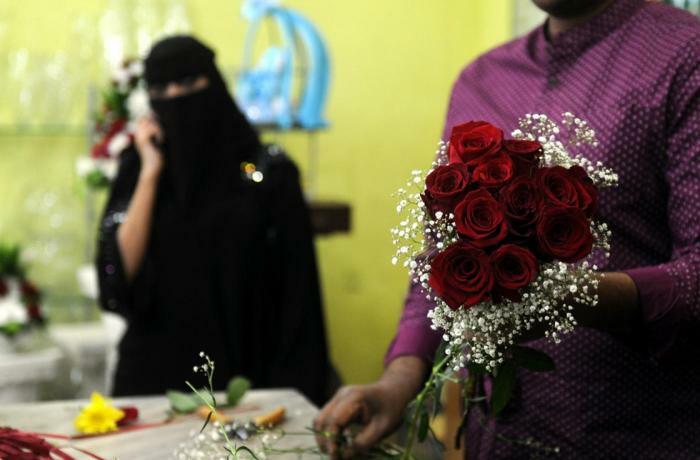 This morning many flower shops in Jeddah and other cities of the kingdom have put red roses on display, the symbol of this celebration for lovers, without this - unlike the past - unleashing the wrath of the religious police. Another sign of partial opening the statements emerged in recent days by another Islamic religious leader, according to whom women should not be "forced" to wear the abaya (the female garb that covers the body from head to legs) in public. "Over 90% of pious women in the Muslim world - said Sheikh Abdullah al-Mutlaq - do not wear the abaya. This is why we should not force compliance with this rule ". Saudi sisters fleeing to freedom: in Riyadh women "like slaves"